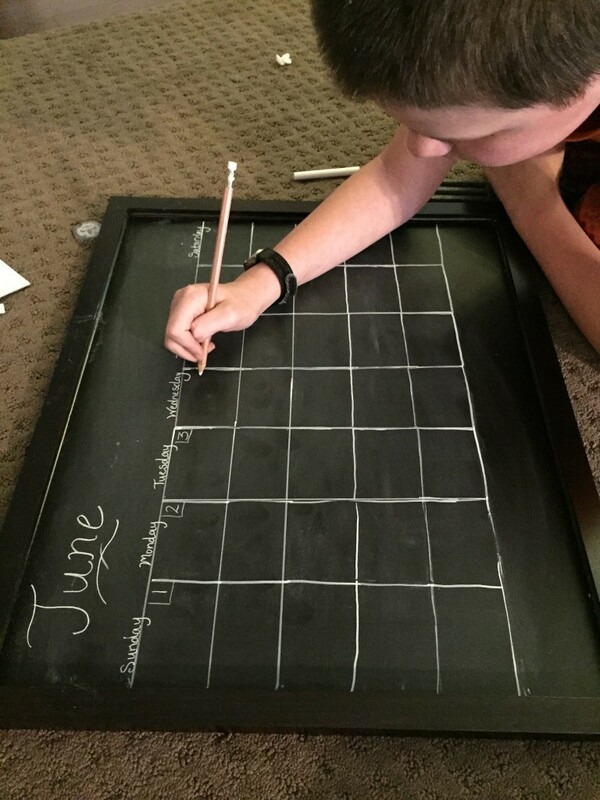 Do you want to make an easy and fun DIY Chalkboard Calendar and Information Center to get your family organized? Just read below! 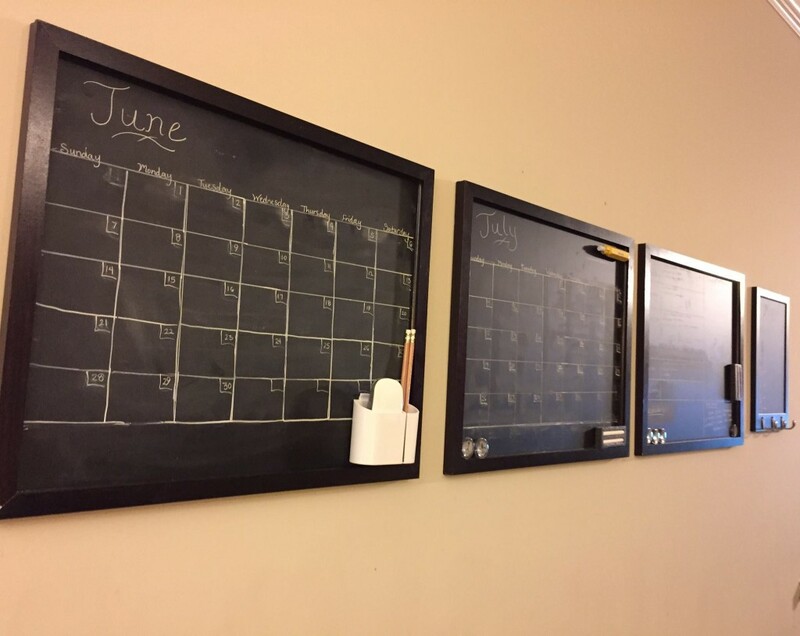 If you’re like me, you need a family calendar in a central location and you need it fast! My family is at the point of needing to plan our Summer activities, appointments, chores and menu all in one spot. 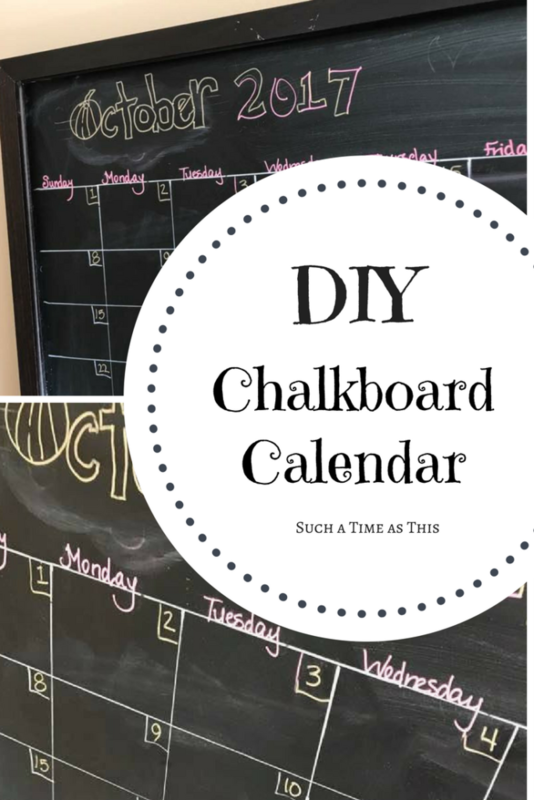 I went on a search for a chalkboard calendar but didn’t find one. So, I decided to make my own. 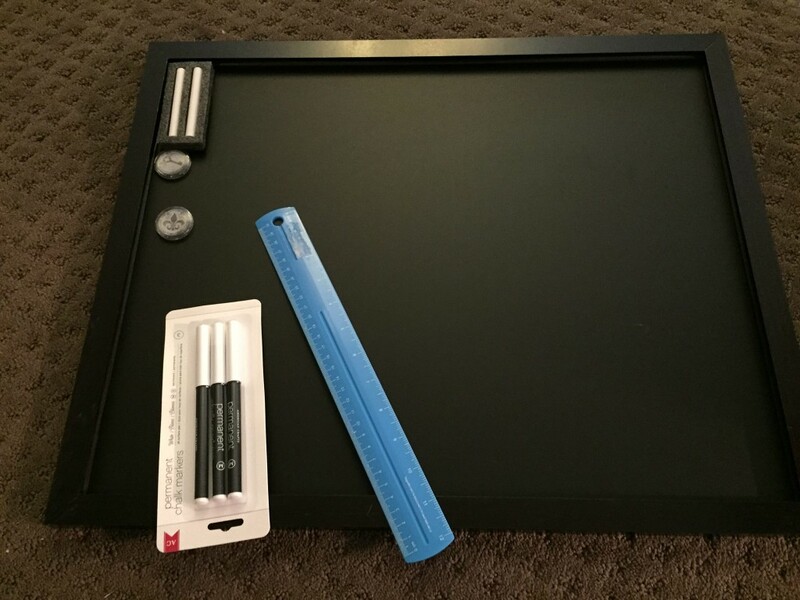 I started with a framed chalkboard that I found at Target. 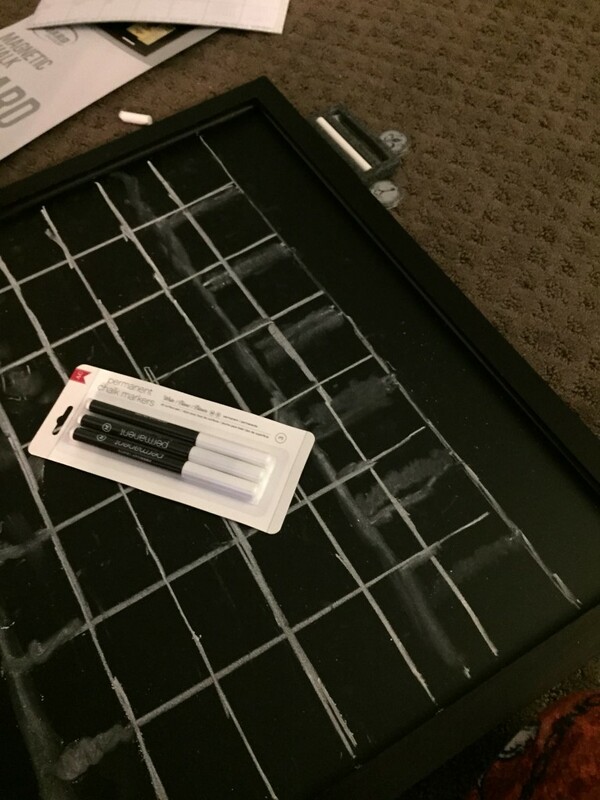 It came with two pieces of chalk, which stick to a little magnetic case, and two magnets. 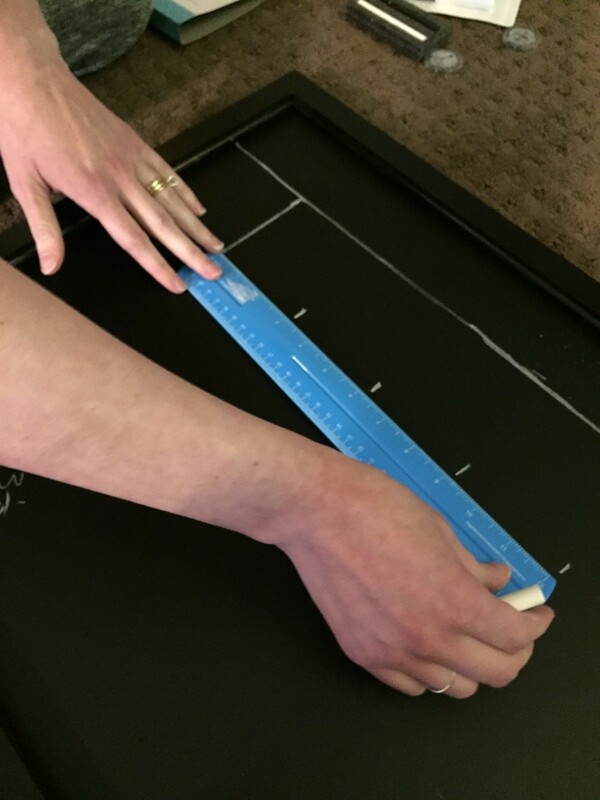 Using the chalk which came with the board, I measured a space to write the month at the top. 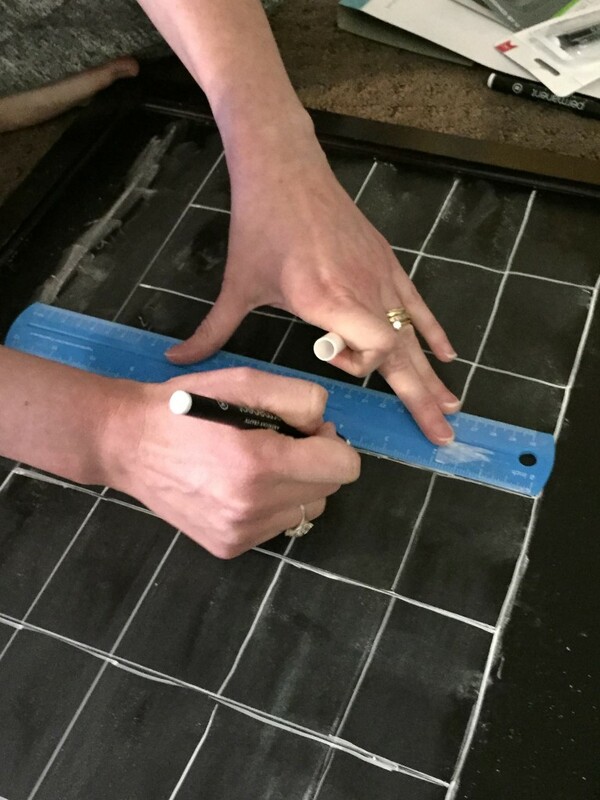 Then, I proceeded to draw lines in both directions, to form the squares of the calendar. You’ll need a ruler for this part and an eraser. Next, you’ll need some permanent chalk markers, also found at Target. 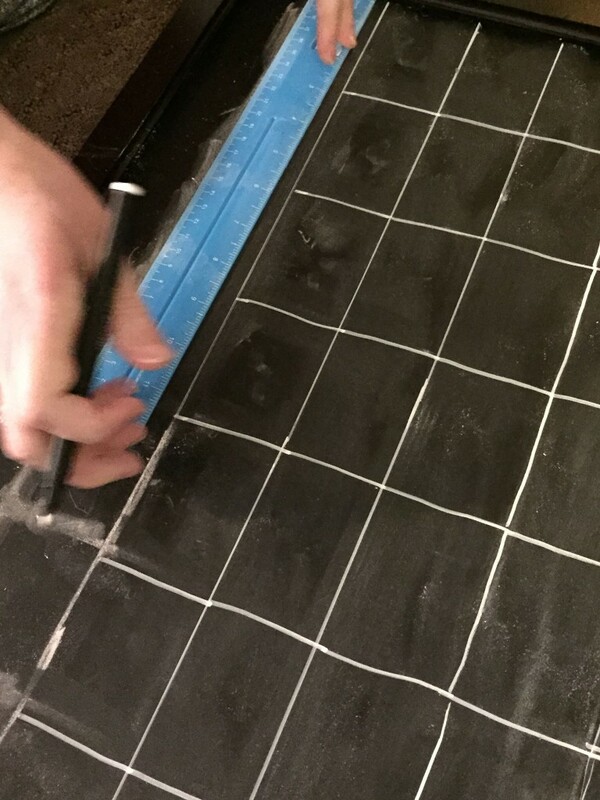 After you get the grid drawn on with the regular chalk, take out your eraser and lightly erase one section of the grid. 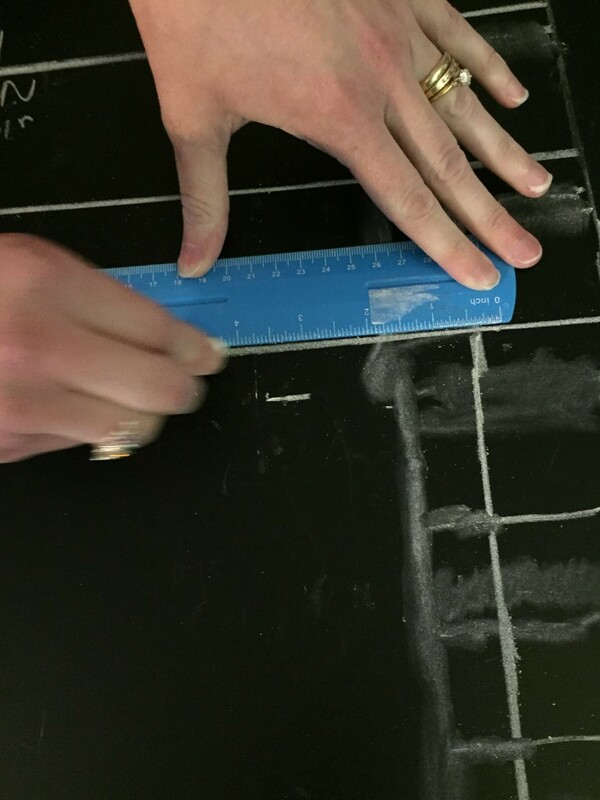 Using your ruler and your permanent marker, you’ll need to re-draw the marks onto the board. Draw this part carefully, because once it is on it is not coming off. I then used a chalk pencil to write the month and the dates in the corners of each box. 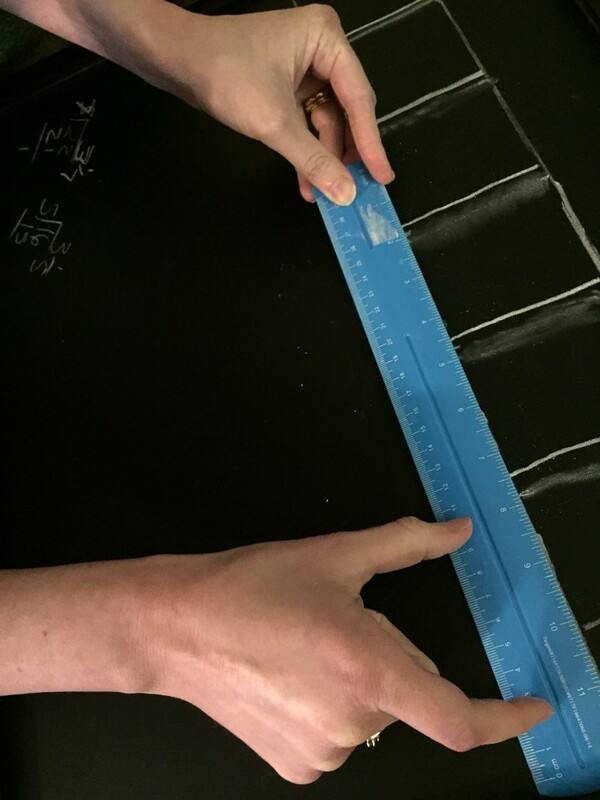 You could use the regular chalk, thin chalk, or a regular chalk marker (not permanent). I even got one of the kids involved in filling in the calendar dates! And our first calendar is finished! 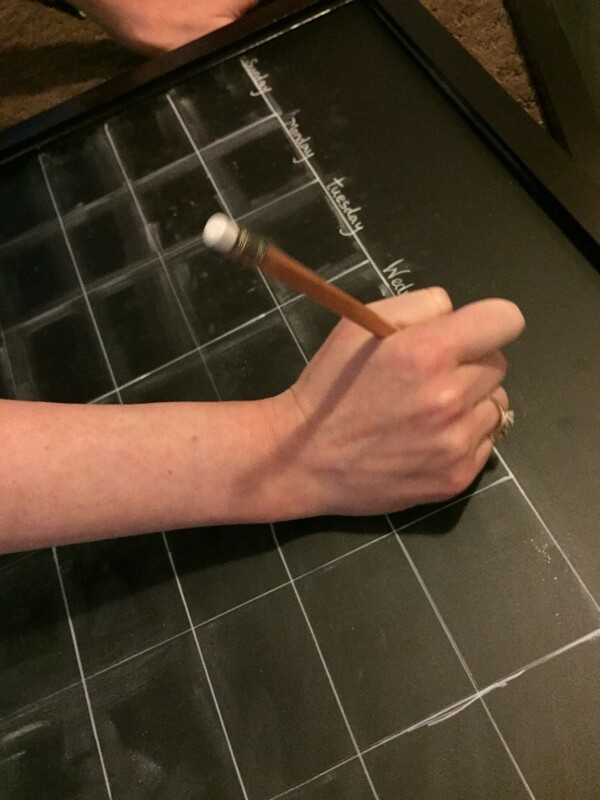 Time to do this again on a new chalk board, if you want to do side by side months. I decided to make another chalk board that is dedicated to organization of the home and family. I did a weekly view of our chores for each day. This could also be used for specific events for each day. 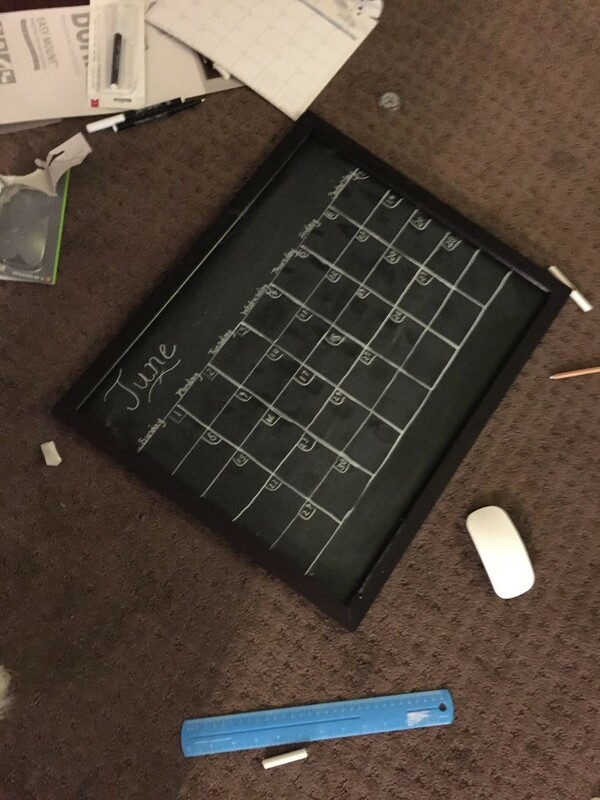 This board didn’t take nearly as long as the two calendars. I drew 6 horizontal lines about half way across the board. These I’m using for the days of the week. 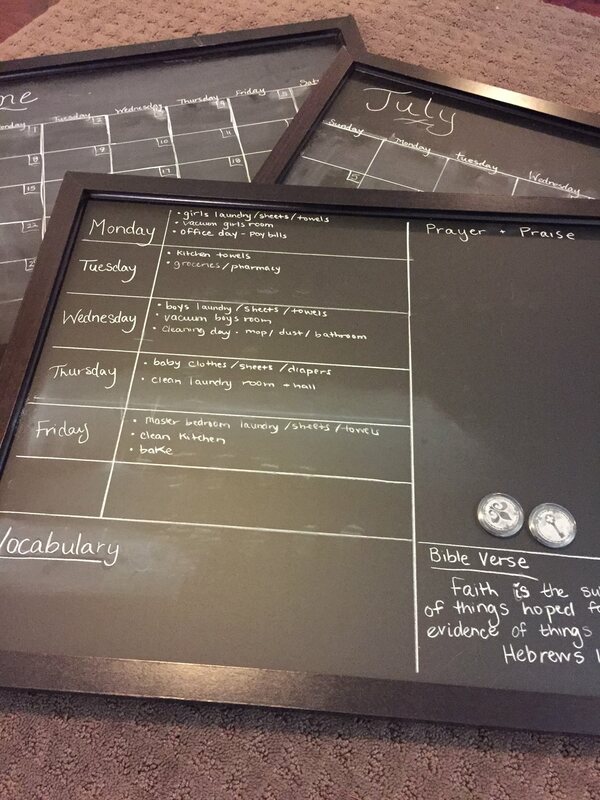 2 vertical lines help to create a space to write about the chores for each day. There is a space at the bottom for our vocabulary word of the week and another spot for our scripture memory verse. The other side of the board I’m using for prayer request and answered prayer. he top. 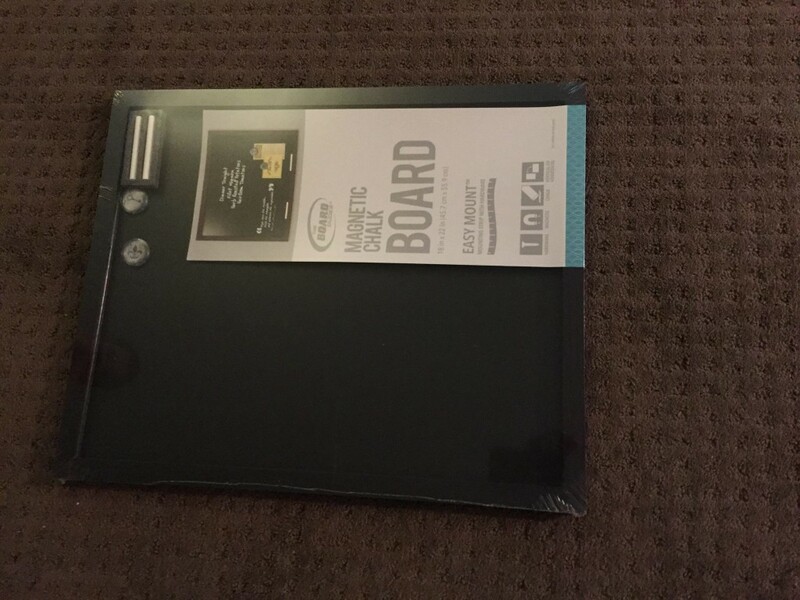 This board was found next to the other boards at Target. Now you just need to hang them up. You’re all done! Hooray for having a chalkboard information center!!! I amm sending it to a few buddies ans additionally sharing iin delicious. Andd certainly, thanks on youur effort!